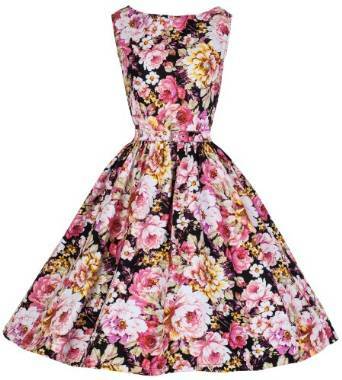 During the summer, a floral dress should not miss from any woman’s wardrobe. Less important is if the floral print is of small or large size, important is to match them correctly. 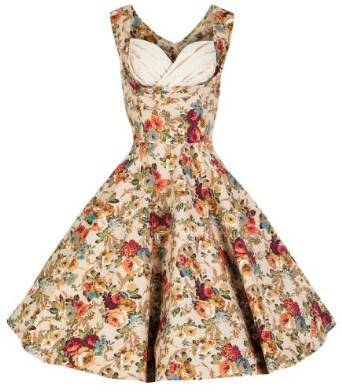 It is said that a beautiful floral print is enough to make your outfit stand out of the crowd. When you are wearing a floral print dress you can let it enjoy all the attention by accessorizing it in a minimalist way. As for the bag and sandals, you can choose some neutral colors. First of all, it is important to choose the print that suits you best. You have at your disposal a lot of models and it is impossible that you can’t find one to represent you. 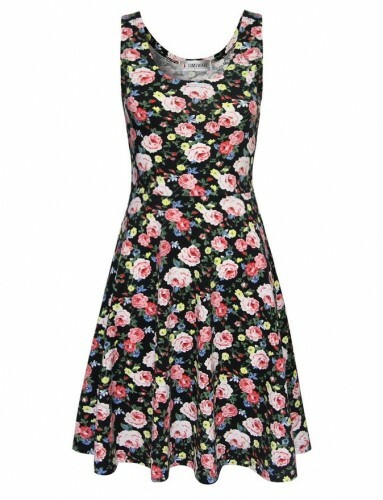 The floral print can be simple and delicate or large and bold. If, for example you would like to have a dress with a floral print that should give you a sophisticated look, choose the models with small prints. If, on the opposite, you would like to build a more rebel look, you can choose to wear a print with larger flowers that stand out by strong colors and details that pops out into your attention. 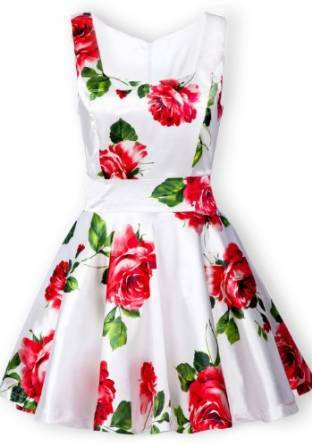 In order to go to the office in the summer wearing such a dress, if your company’s dress code allows it of course, you can choose a dress with small and delicate flower prints, in not so strong colors. You can add a simple bag and a pair of high heel sandals. One thing is important, usually, the floral prints are quite bold and, as I was already saying above, you have to be careful with what you are matching them. This is why accessorizing the floral prints is a real challenge. Basically, one single element is enough in order to complete your outfit. This element can be a hat, a bag or even a brooch. When it comes to the shoes, the small heals and platforms can be perfect options for a floral printed dress. This does not exclude under any circumstance to wear high heels but this combo is not exactly inspired during the day. The floral print dresses will rule again this summer, therefore it is mandatory to have at least one such dress into your closet.